Sorry for such a wait on this one! 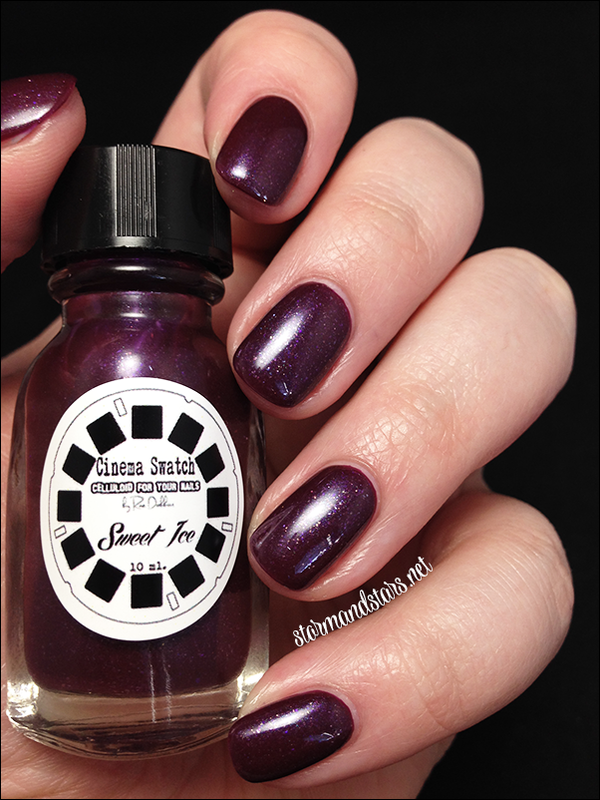 This is the second half of the Geisha Collection from Cinema Swatch Lacquer. This collection consists of six colors, the other half of which I posted about at this link. 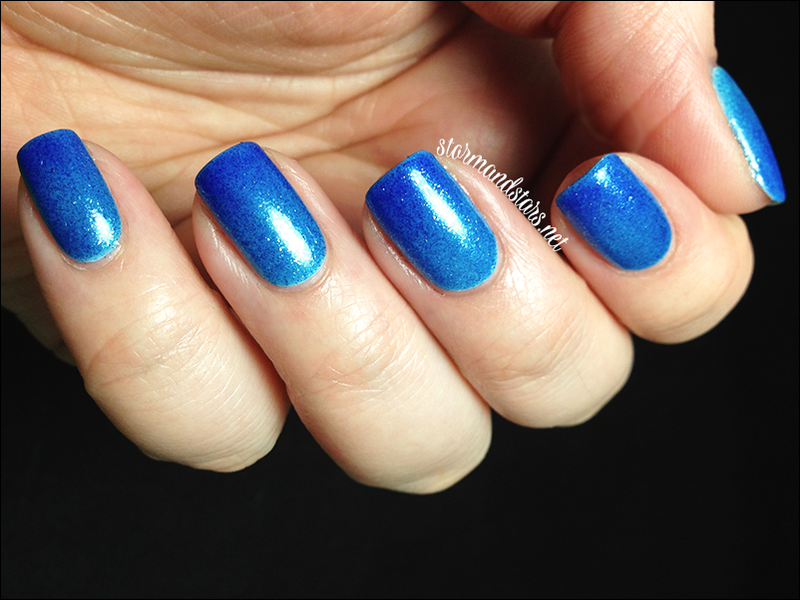 I had some nail breakage between swatching so I split up the collection and the rest of it will be posted here today. Please excuse the length of my nails changing as I did these over a couple weeks and my nails grew quite a bit! First up is Sweet Ice. 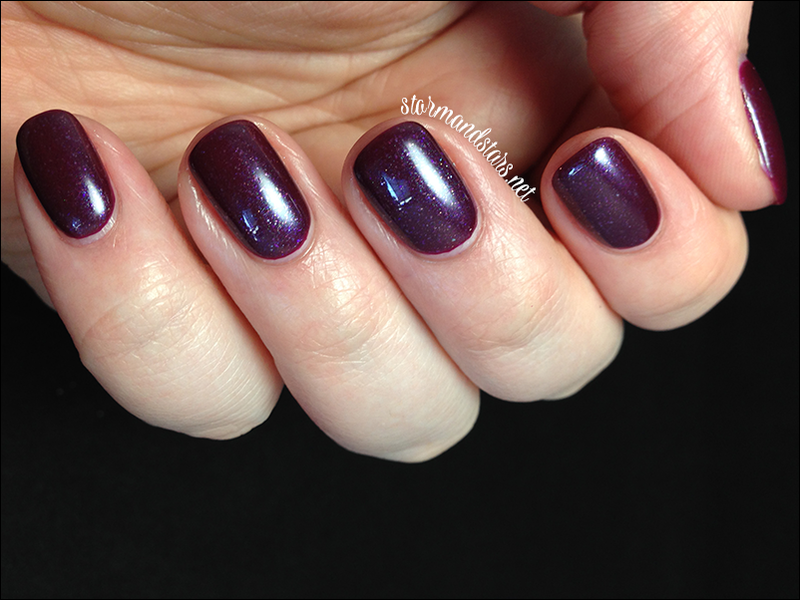 Sweet Ice is a deep plum purple jellyish lacquer with shimmer. 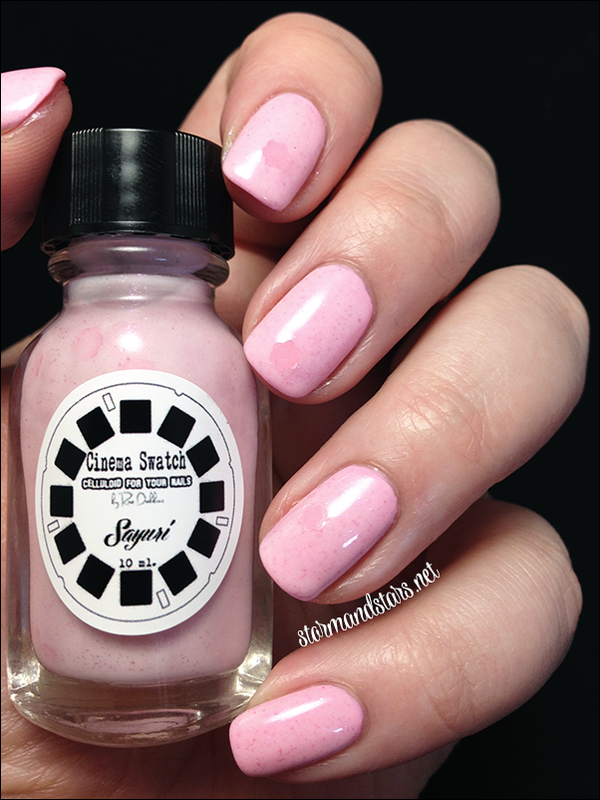 I layered two coats of Sweet Ice over Illamasqua Vice for this look and topped it with Seche Vite for the photos. I found the formula to be sheer but good. I like this color against my skin tone a lot! 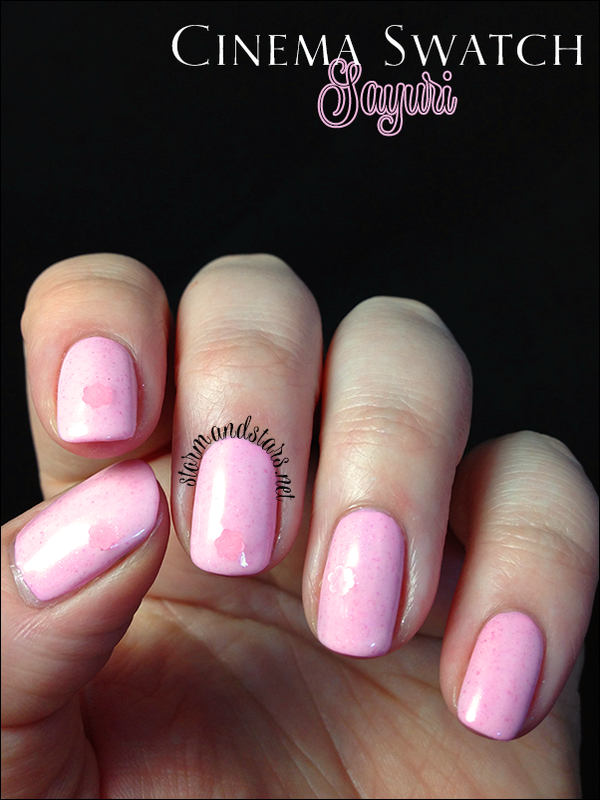 Sayuri is a pale pink crelly polish with darker pink flakes and large pink flower shaped glitters. I used one coat of Sayuri over a base of Wet n Wild Tickled Pink for these swatches. 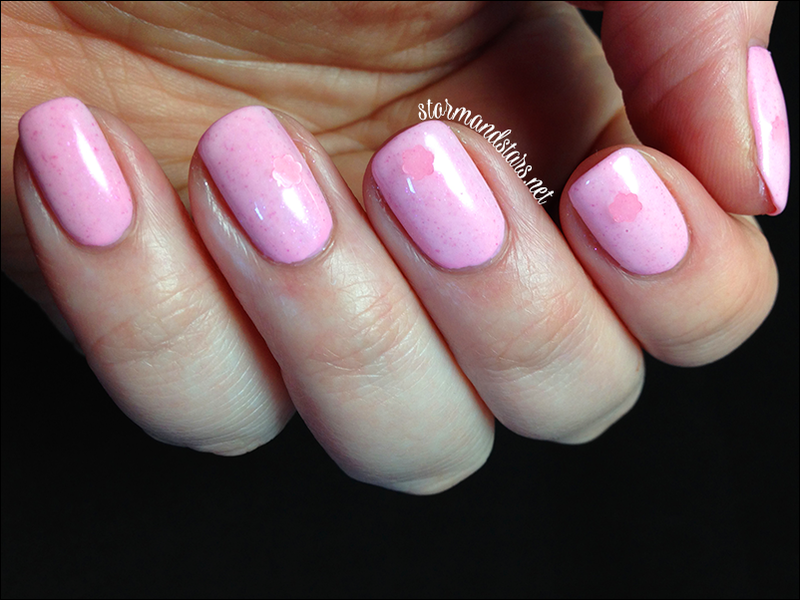 I topped the mani with a thick coat of top coat. I found Sayuri to be really thick and hard to work with. I definitely suggest using it over a similar color to minimize dragging. Last for today is Chiyo. 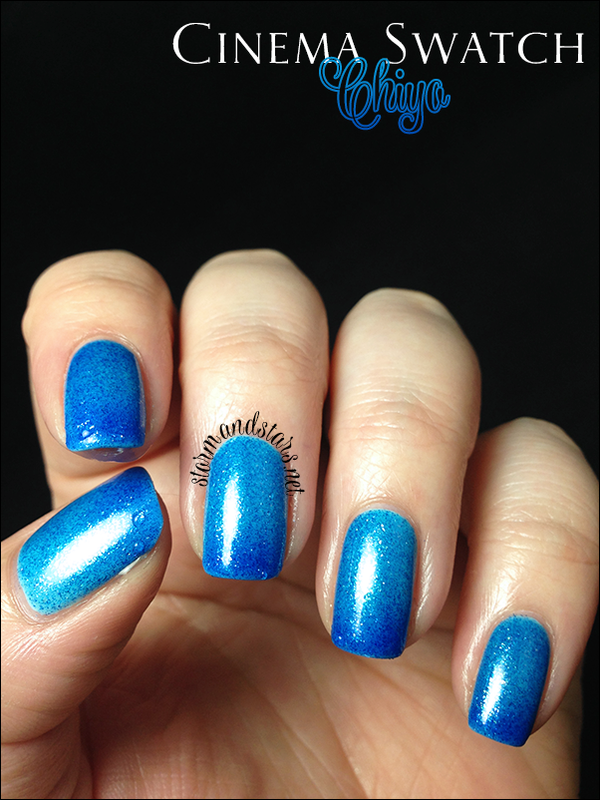 Chiyo is a blue thermal with lots of shimmer and iridescent glitter. It changes from almost clear blue when warm to a dark blue when cold. I used three coats of Chiyo over a base of Lime Crime Once In A Blue Mousse for this mani. I topped it all off with Seche Vite topcoat. The formula on this was great, but it is really sheer when warm so you'll need something under it to show through. I really love this color and can't wait to try it over different bases and see how it changes the look. 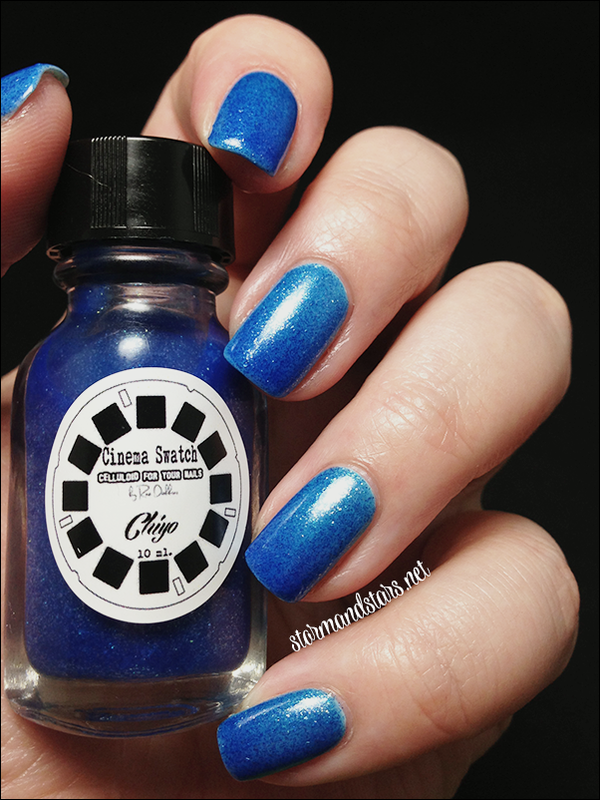 What did you think of the Geisha Collection from Cinema Swatch Lacquers? Overall I was pretty happy with it! 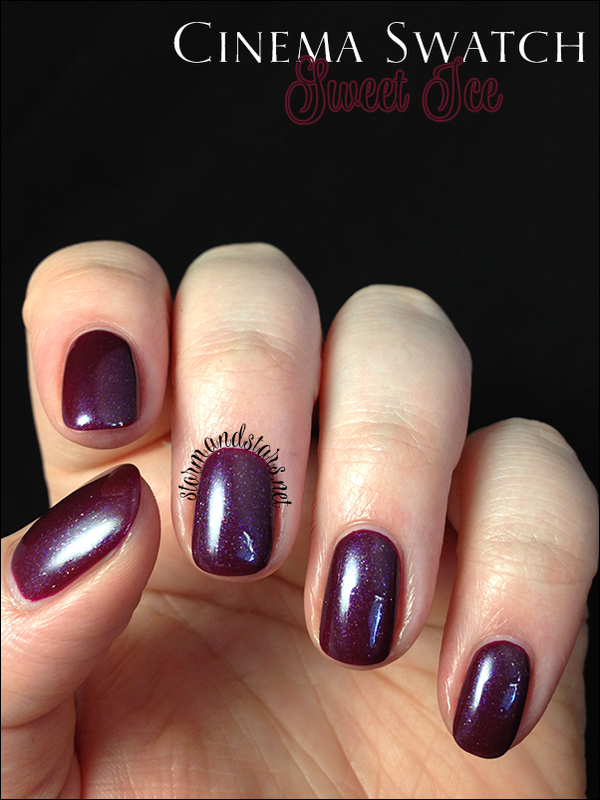 You can purchase these shades and other Cinema Swatch Lacquers in their shop HERE. 10 ml bottles start at only $5.00 each. Don't forget to follow Cinema Swatch Lacquers and Rachel on social media for news and swatches as well as info on other collections and sales!